I first encountered the idea of a co-working space in San Francisco in 2014. I and the rest of the Agility executive team were meeting a marketing guru there to discuss Agility's go-to-market strategy for our first reboot of the company since Jon Voigt took over as CEO. It was like entering a bee-hive for people - and contrary to how that may seem - it was a happy place. It buzzed with positive vibes. They saw things that needed to be disrupted and they went for it. Agility has had some nice offices in Toronto. Exposed brick, high ceilings, more space than we could ever need, room to grow, you name it. In most cases, though, the cost of room to grow equates to expensive as hell. It's nice to have a ton of space, but when the sirens of software are calling out to build build build, you want to be investing every dime you have into your product, not into the exposed brick. The last office we had on Adelaide St was the nicest of all, and boy oh boy did I love bringing customers in to show it off. Jon had found these amazing hardwood tables, one of them so big he had to have it sawed in two just to fit through the staircase. It oozed impressiveness, and it was really, really hard to let go of. We've pounded the keys, made videos, released code to production, prepped workshops, raised our revenue, and we take a moment to breathe together. 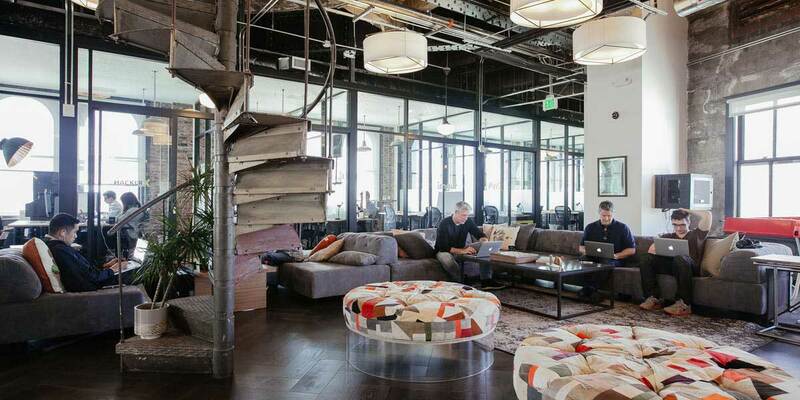 Enter the WeWork era of Agility. In February of 2018, we moved into WeWork, with a bunch of dedicated space and a passion to crank all of our pent-up steam directly into our software platform. We got super lean, and all of us took on more roles than we could really handle, but we worked crazy hours and drank tons of coffee, and we were determined to succeed. Just walking through the maze of offices at the 240 Richmond St location is enough to get the blood pumping in your brain. Folks in the hallways smile with a knowing look in their eyes, they're all thinking the same thing, we're going to succeed or we're going to fail spectacularly, but we're sure as hell not gonna stop trying. After a few days, it doesn't feel like the same kind of work. You start to move to different spaces within the building. The sixth floor is full of bright light, so we go there for a 4-o-clock beer on a Friday. We've pounded the keys, made videos, released code to production, prepped workshops, raised our revenue, and we take a moment to breathe together. WeWork has changed us, not a lot, just a little, but it seems like enough to make all the difference. Laura Bliss writes in The Atlantic that "The office sublet is not an innovation of the digital age. 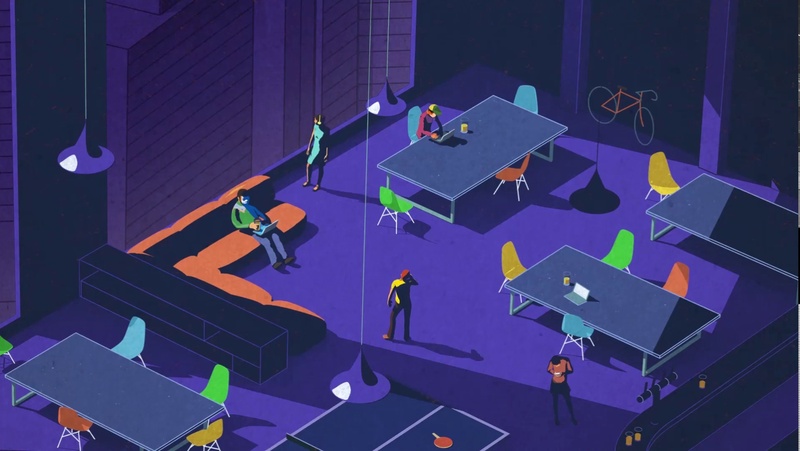 But the idea of a co-working space—a collection of like-minded renters committed to forming a community—is a more recent development. " It's that spirit, that preternatural buzz that has brought not just startups to WeWork, but many fortune 500 companies as well. With so many organizations both feeding into and feeding off that energy, it's no wonder the idea has taken off. As of the writing of this post, WeWork has just announced the 5th location in Toronto opening soon - and I don't expect them to slow down anytime soon. if you want to follow Jon and his family, they have lots of great stories about their travels on their Facebook page, Agile Living. Last week Agility CEO Jon Voigt was in Chicago at the WeWork space there, on his way out to the west coast to open up Agility West (codename, but it might stick) in WeWork Vancouver. As we grow, as we expand, I feel like the part of our culture that has enabled that growth has come from the space we've been occupying. We love WeWork, but we aren't stuck into a long-term lease, and our growth as a company isn't tied to filling the bums in the seats to help pay the rent. It feels way more like freedom, and right now that's a good thing.